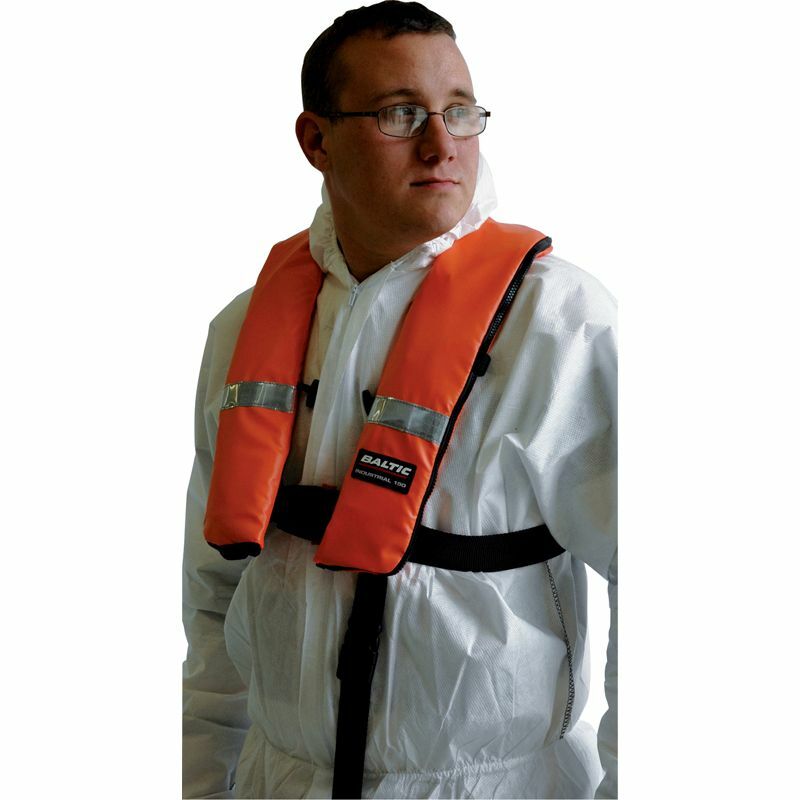 Durable, professional 150N automatic inflatable lifejacket with a wipe-clean PVC protective cover. Highly resistant to oil, mould and UV light. Features include retro-reflective patches, lifting becket and crutch strap. Suitable for adults between 40-150 Kg . Conforms to EN 396, EN ISO 12402.